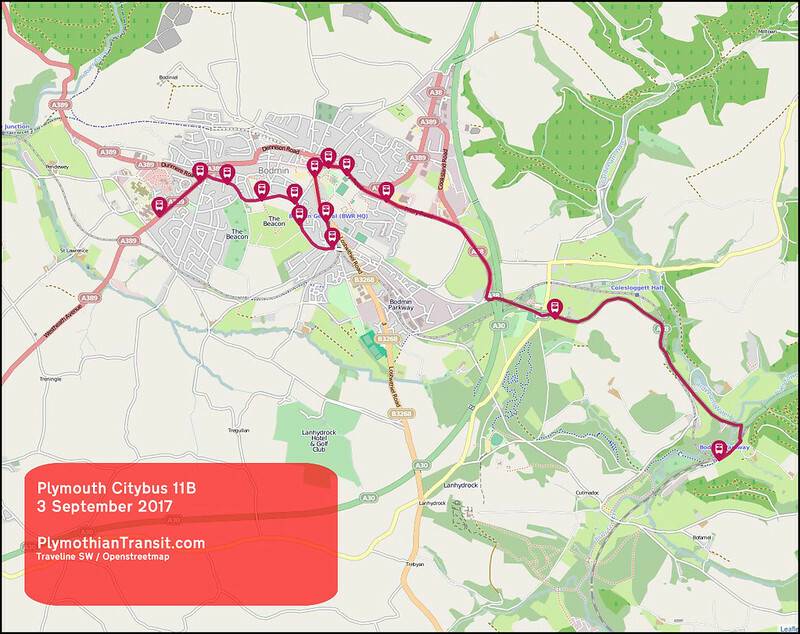 The main bulk this week is the Cornish service changes from Plymouth Citybus including the new Callywith College routes. There are also a couple of changes to National Express coming up in September. The rest is made up of First South West and Travel Cornwall who may or may not be making service changes this weekend as its almost impossible to find any accurate information on line! I kind of expect this with Travel Cornwall but not First South West! Service 55 (Bodmin-Camelford) — A revised timetable will be introduced providing additional direct journeys between Bodmin and Camelford — the existing journeys between St Mabyn, St Tudy and Wadebridge will be withdrawn after a final day of operation on Saturday, September 2 due to very poor customer demand (both communities will retain a ‘shopperbus’ facility to and from Bodmin operating on Monday to Saturday except public holidays). 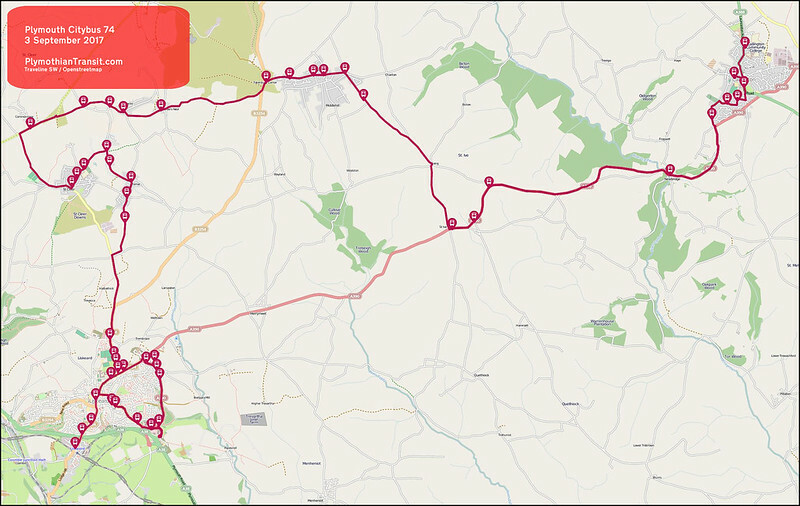 Service 55A (Camelford-Kerrow Downs) — The morning journey to Sir James Smith’s Community School, Camelford will operate three minutes earlier throughout. Service 95 (Bude-Wadebridge via Boscastle, Tintagel, Camelford and St Teath) — A revised timetable will be introduced due to Wadebridge School changing the times for student attendance. The opportunity has been taken to amend intermediate journey times to improve punctuality. 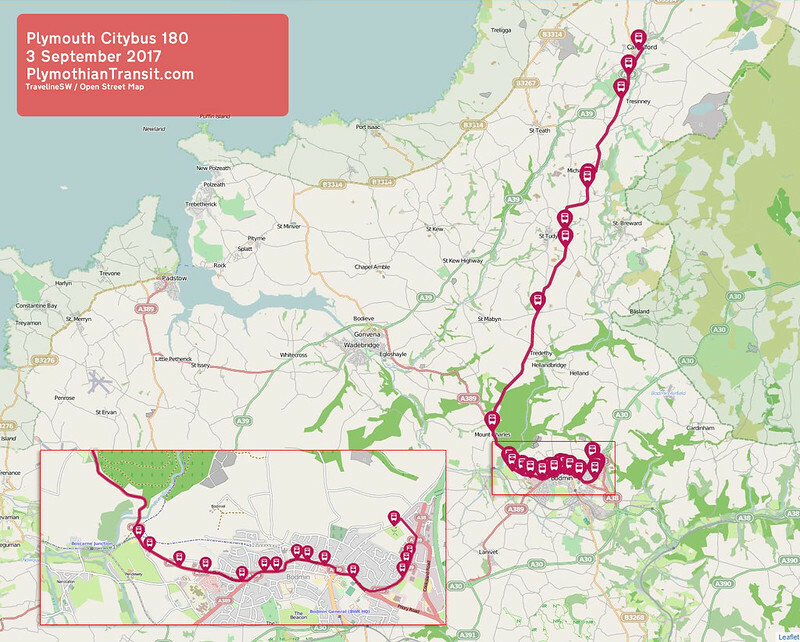 Service 96 (Camelford-Wadebridge via Delabole, Port Isaac and Polzeath) — A revised timetable will be introduced due to Wadebridge School changing the times for student attendance. 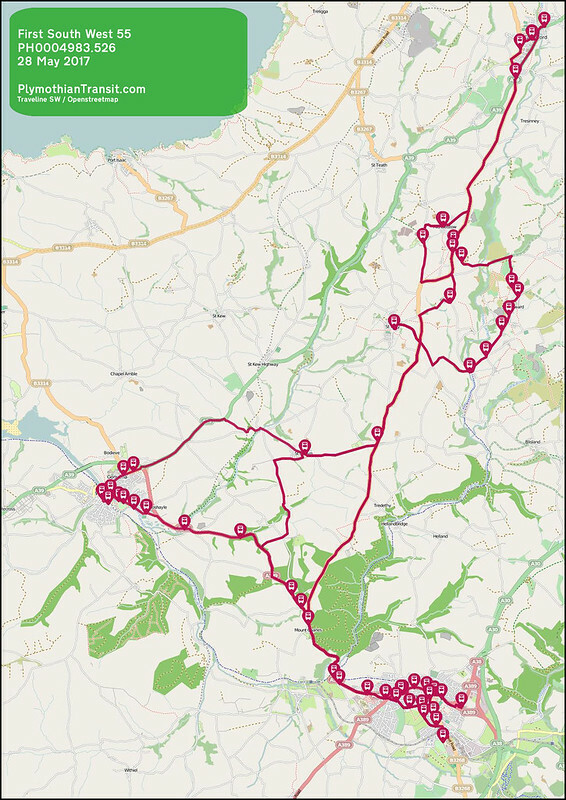 96 journeys will be extended beyond Camelford to operate to and from Bodmin as service 55 journeys giving new through journey opportunities between Delabole, Port Isaac and Bodmin (connections are guaranteed and no change of bus will be on these cross-Camelford journeys). Note that there is no mention of any of this on First South West own site so who knows what's happening? Timetable shows before and after 4th September 2017. 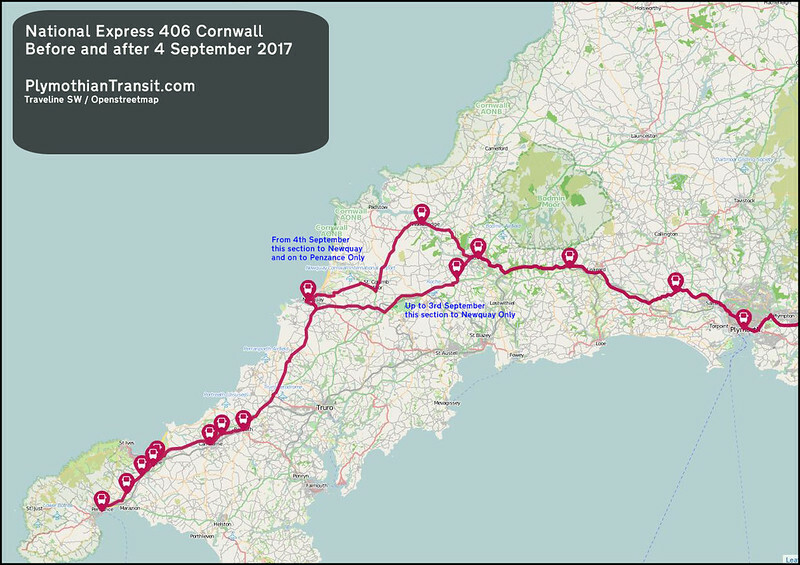 Change route between Truro and Penzance. 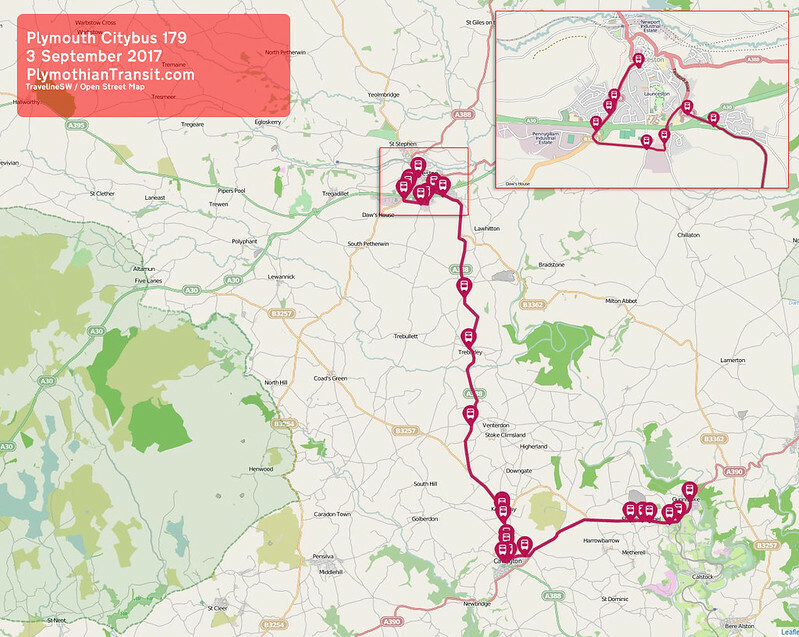 Final Published: CT070 Timetable shows before and after 4th September 2017. 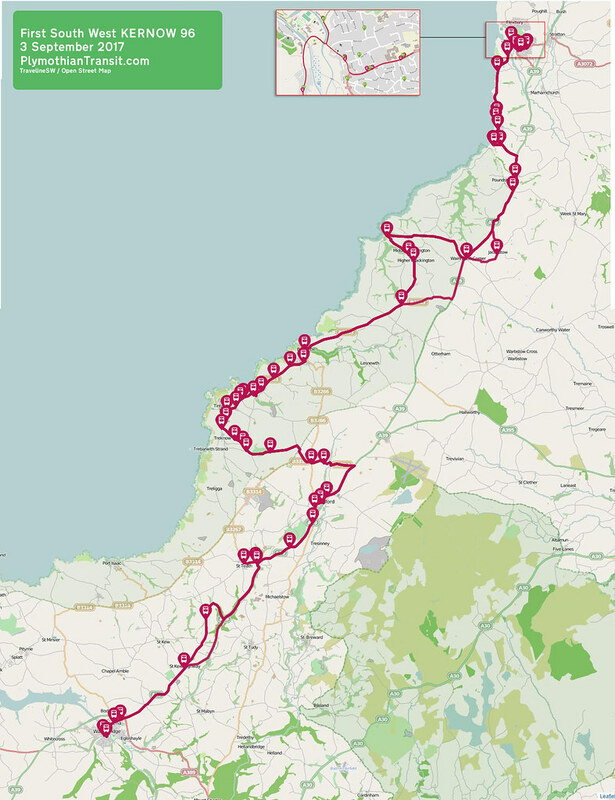 Change route and extended to Penzance. 11A: To accommodate school children, the 07.20 service from Bodmin towards Padstow will run twenty minutes earlier as far as Wadebridge Bus Station; before continuing the current timetable. Certain journeys amended to serve Callywith College. 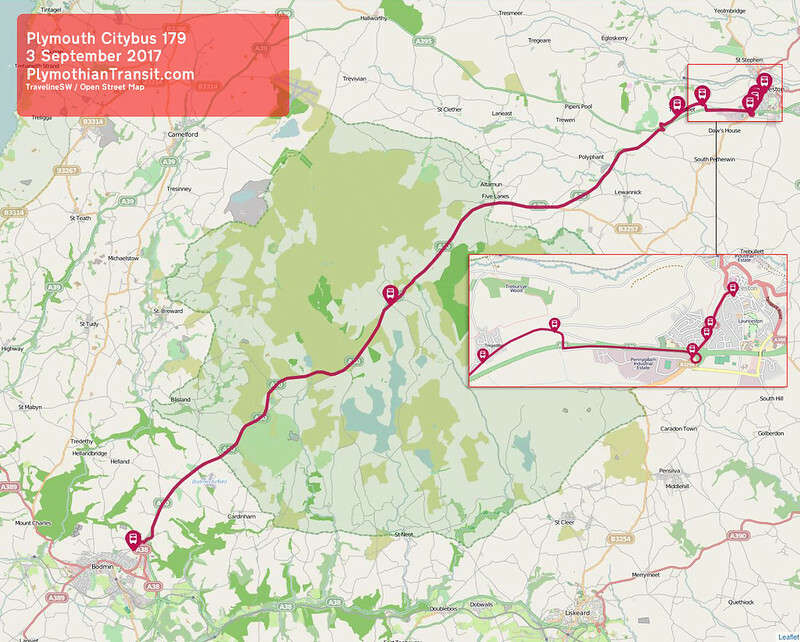 Standard route in Bodmin amended and will now serve Launceston Road ASDA in both directions. 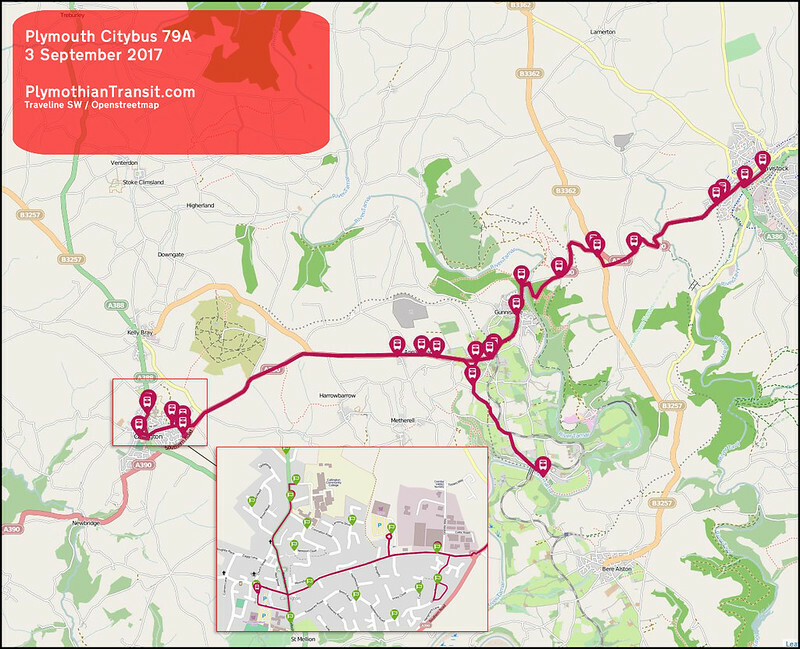 11B: Additional journeys between Bodmin Parkway and Bodmin Hospital via Bodmin Town Centre and Morrisons, Priory Road. Minor adjustments to timetable between Downgate and Callington New Road. 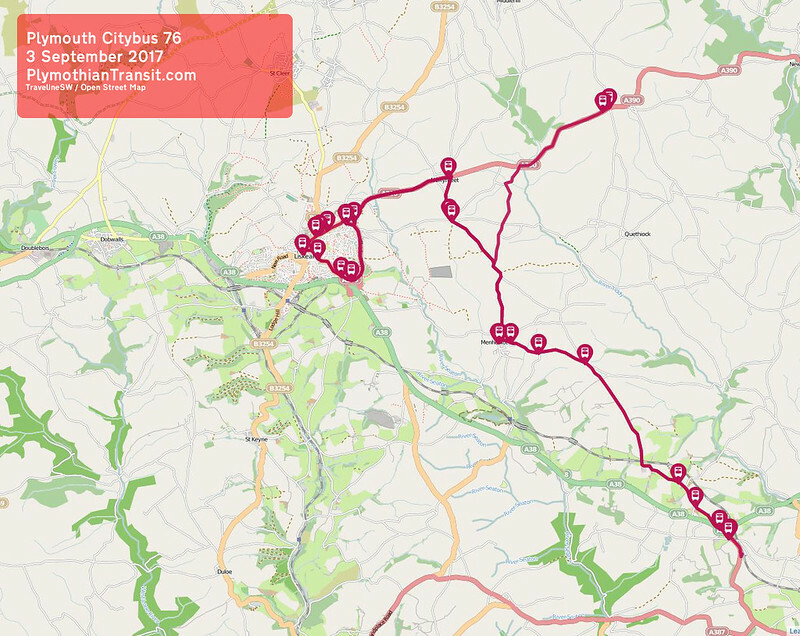 06.16 from Milehouse – Callington trip withdrawn. 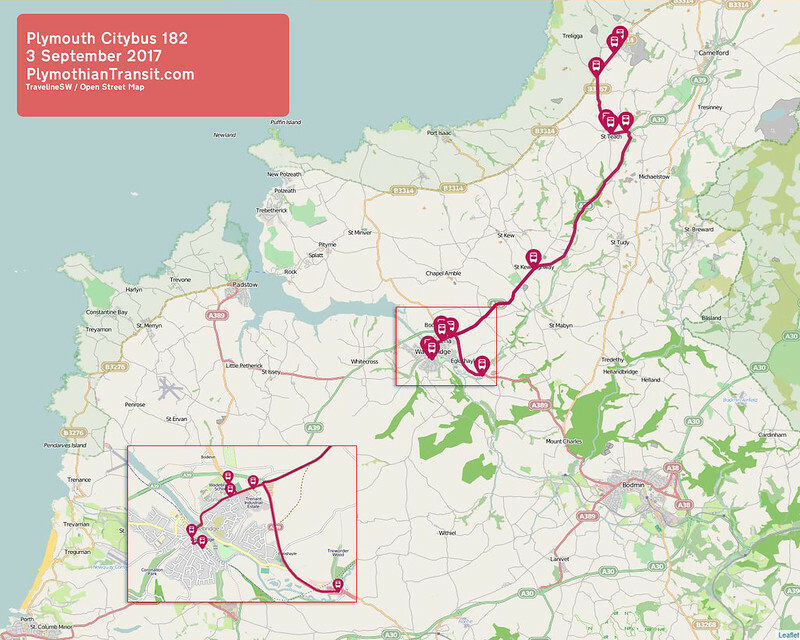 Additional journey at 17.20 from Plymouth to Callington on Saturdays. Callywith College have partnered with Plymouth Citybus to provide the college bus services. All buses will be Wi-Fi enabled to support your study whilst you travel. Withdraw service from Blunts and Quethiock, reinvesting resource to better service for St Germans. 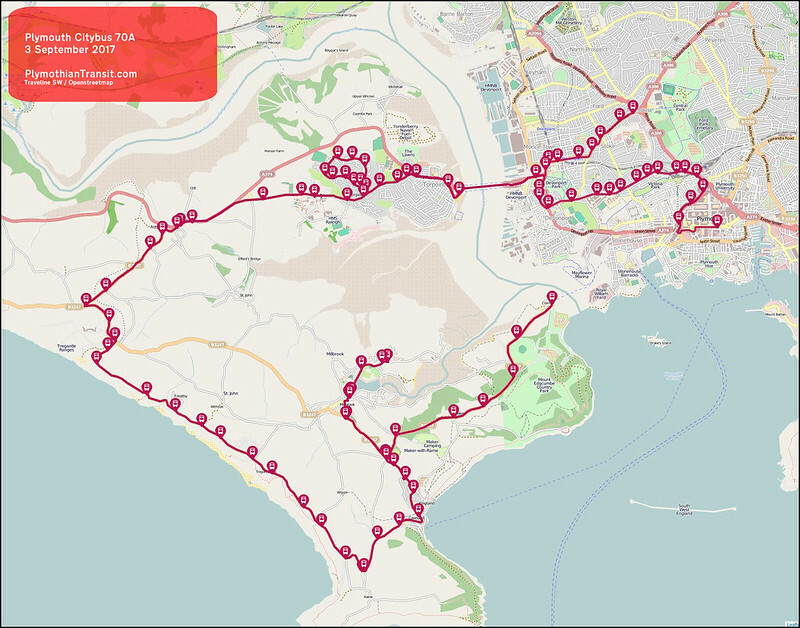 This includes journeys connecting with Service 72 at Trerulefoot Roundabout, providing connections to and from Plymouth. Monday to Friday certain journeys will be retimed to replace Service 88. Revised timetable on a Saturday; Callington to Tavistock two hourly, Calstock to Tavistock hourly. Registered Bus Services running under this licence have also been set to CNS with immediate effect. Presume service is cancelled - Nothing on Traveline to say so and timetable still current. No current timetable on TC own site. Another mystery! No new timetable found on Traveline SW. No new timetable on Travel Cornwall site. Their latest service news page has not been updated since 2013 (so why bother having it?). The (rather useless) Cornwall County Council web site has nothing either - the latest updates links to a pdf from 2016 and the timetable pages just link to Traveline home page. 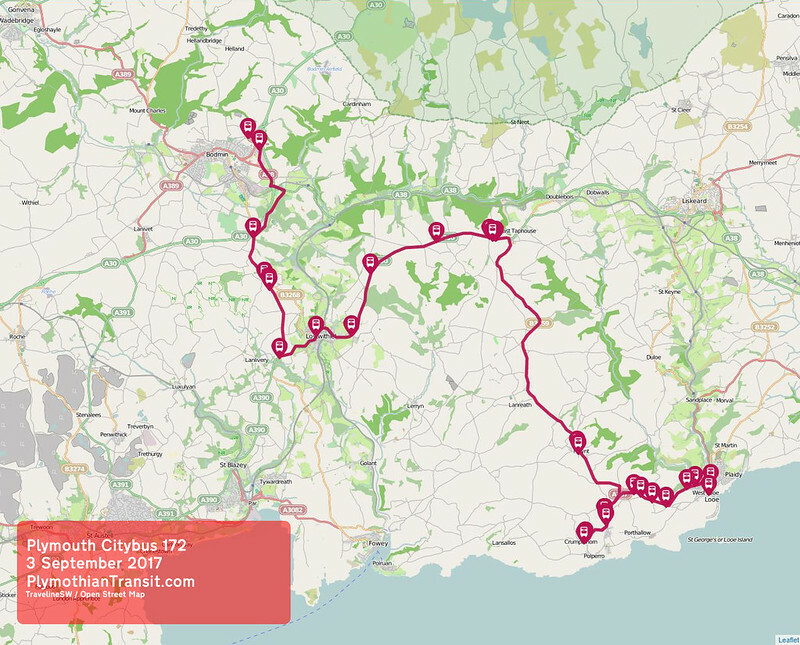 Travel Line sw says its Stagecoach who does the beginning part of the 172 (Trerulefoot - East Looe) and PCB from East Looe to Callywith College. 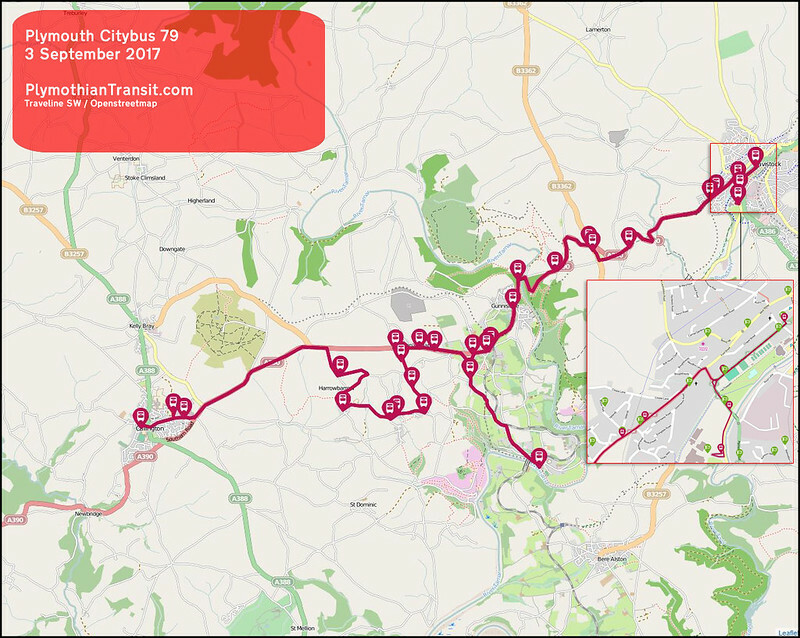 Anyoneelse notice that on the CityBus Hot topic leaflet for the 3/9/17 service change the 61/62 shows as City Centre-Transit Way-City Centre via Yelverton!